This entry was posted in "out of the box" art, browser, computer games, mozilla, penny, web and tagged Art, browsers, games, painting, Segmation on April 4, 2014 by segmation. Love it or hate it, yellow is here to stay. The color wheel’s brightest shade can be seen on the road every day. But neither cars nor trucks have the unique yellow paint jobs that belong to school buses. How did the yellow school bus come about anyways? And why are school buses still being painted this shade? Knowing the colorful history of yellow school buses sheds light on this timeless tradition. The lineage of the school bus dates back to the 1930s when a man by the name of Frank Cyr conducted an in depth study of student transportation vehicles throughout the United States. At the beginning of his research, Cyr, a professor at Teachers College, Columbia University, was observing school buses that cost (on average) $2,000. Quickly he found out that these vehicles had little in common. Various manufacturers, schools, and districts used different buses. This inspired him to call a conference of educators in spring 1939. The purpose of this meeting was to discuss a standard protocol for school buses. The end result was a 42 page manual that discussed the ins and outs of the school bus. In this manual, the color was declared: national school bus chrome. In 2010, the questionable use of “chrome” was exchanged for “yellow”. Still, the color seen on school buses today was the color decided at the conference over seven decades ago. The precise shade of yellow was taken so seriously, that a committee was appointed just to decided which one of 50 shades of yellow would appear on the school bus. Why has the Color not Changed? Once national school bus yellow was decided, it became a nationwide mandate. One of the original reasons for the broad directive was because school bus manufacturers “had to have different booths to spray-paint them.” More so, the color became a universal symbol of student transportation. 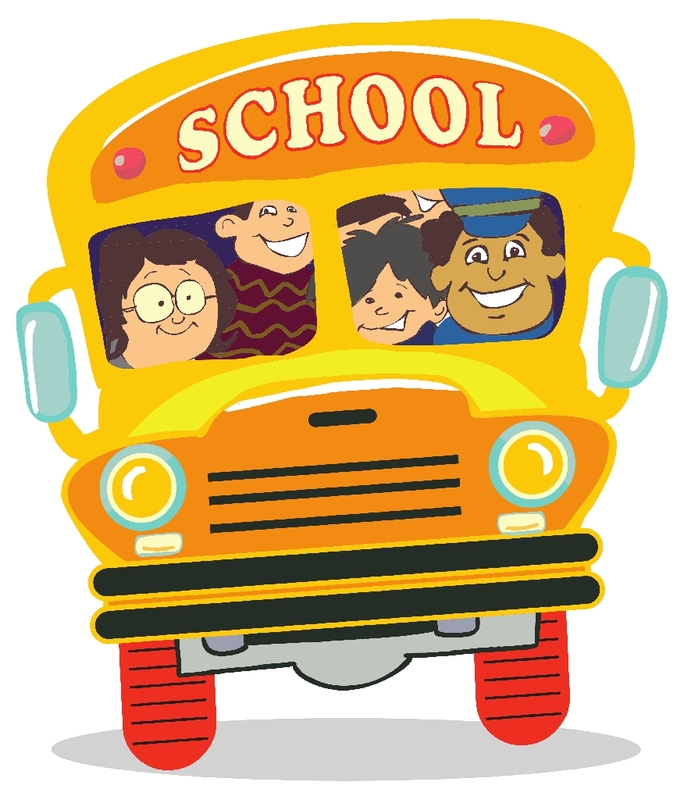 In fact, most Americans have been raised in environments where yellow school buses shuttle children to and from school. It is hard to imagine life without them. This entry was posted in "out of the box" art, Art, casual games, craft, entertainment, fun with art, going back to school, school, transportation vehicles, Yellow School Bus and tagged Art, back to school, Bus, Children, color, games, games for kids, iPad, iPhone, kid crafts, paint by numbers, Public transport, Puzzles, san diego, School bus, Segmation, Yellow, Yellow School Bus on August 21, 2013 by segmation. 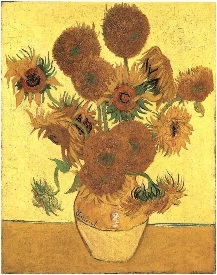 Located in the National Gallery, Sunflowers was painted in 1888. Sunflowers is a still life, oil on canvas painting that was created in Arles. Vincent Van Gogh reportedly painted Sunflowers with the intention of using it to decorate Gauguin’s rented home in the South of France. The National Gallery, Sunflowers’ home, also shelters other pieces of famous artwork from the 13th – 19th Century. One of the best things about the National Gallery is that its artwork is free for viewing. The Lady of Shalott was created by the masterful hands of John William Waterhouse in 1888. The painting is a depiction of Tennyson’s poem entitled The Lady of Shalott. The woman representing the Lady of Shalott in Waterhouse’s painting was, reportedly, his wife. This naturalistic painting is located at Tate Britain, which houses British art made in the past 500 years or so. Contemporary and international modern art can also be found at Tate Britain. Commissioned in 1515 by Pope Leo X, The Raphael Cartoons are said to be “among the greatest treasures of the High Renaissance.” Created by Raphael and his “assistants,” The Raphael Cartoons were used as tapestry designs for the Vatican. The paintings feature St. Paul and St. Peter. The Raphael Cartoons are currently housed at the Victoria and Albert museum, which is home to 4.5 million pieces of art, clothing, jewelry, ironwork, and much more. English poet Samuel Johnson said, “When a man is tired of London, he is tired of life; for there is in London all that life can afford.” Indeed, one of the finest things that life affords is art, and that can be found in abundance in London. This entry was posted in Art, Art Appreciation, artwork, Great Britian, gymnastics, London, paint by number, painter, Segmation, Vincent Van Gogh and tagged Art, art lovers, artwork, cartoons, games, gymnastics, iPad, iPhone, john william, John William Waterhouse, lady, Lady of Shalott, lady shalott, life, London, national gallery, Olympic Games, painting, Piccadilly Circus, pieces art, raphael, raphael cartoons, Segmation, SegPlay, shalott, sunflowers, tate britain, van Gogh, vincent van, Vincent Van Gogh, william waterhouse on July 30, 2012 by segmation. When you think of the word “art”, what comes to your mind? Picassso, painting, drawing, Michelangelo, photography, and….video games? Most people would probably not associate that last term with art. But the truth is, video games are being acknowledged as an art form. In fact, the Smithsonian American Art Museum is so convinced of this that it is currently hosting an exhibit called “The Art of Video Games”. The Smithsonian’s increasingly popular exhibit features about four decades worth of video games. It displays games created in the 1970’s and 1980’s, such as Space Invaders, Pac Man, Combat, Super Mario, and Pitfall, and later games such as Heavy Rain. The exhibit is interactive, and most people come not to observe, but to play. “The Art of Video Games” has been such a smash success that there are plans for it to move to 10 other cities. One of the reasons the Smithsonian decided to acknowledge video games as works of art is the sheer prevalence of them in the modern world. Betsy Broun, director of the Smithsonian American Art Museum, pointed out that up to 6 million copies of a single video game have sold in just one day. Obviously, there is something unique about video games that captures people, and the Smithsonian American Art Museum wanted to find out what that was and expose it. But what is it about video games that is so artistic? To find the answer to this question, begin by considering the games’ images. 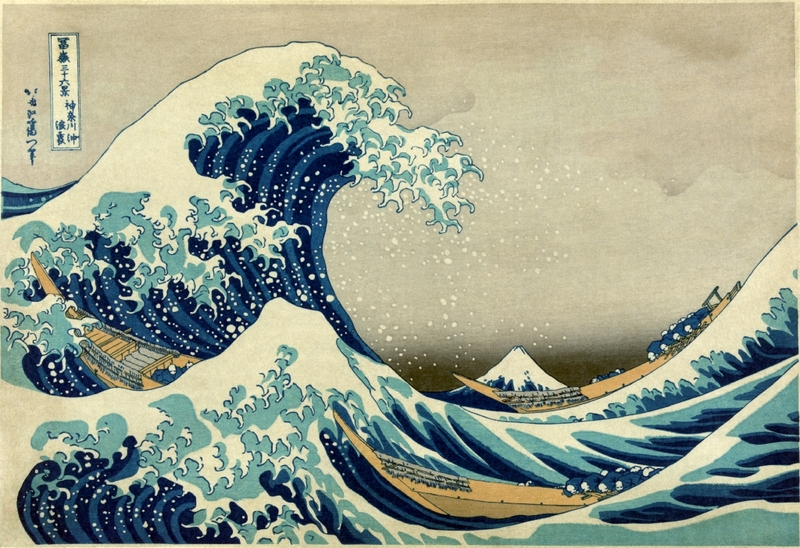 “Indeed, when you look at some of the images from games, they can resemble moving paintings, from abstract to figurative to landscapes.” There are probably dozens of artistic features in your favorite video games; it is just a matter of recognizing them. The intense creative process that must take place for a video game to be born is another validation of a game’s artistic nature. After all, art is always the product of some type of creative work, no matter how simple or intricate. In the case of video games, the process of creation tends to be quite complex. By creating “The Art of Video Games” exhibit, the Smithsonian American Art Museum is challenging people everywhere to open their minds and hearts to the possibility of new art forms. The droves of people that are visiting the exhibit are proving that they believe video games are works of art — do you? 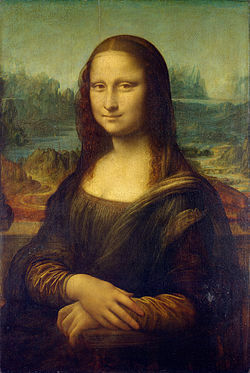 This entry was posted in Art, Exhibit, Game, interactive, Museum, unique art forms, video games and tagged american, Art, exhibit, form, games, museum, smithsonian, video, works on July 14, 2012 by segmation. By nature, artists are creative people – we are visionaries and dreamers. Artists are usually more comfortable behind the easel than in front of a calculator or spreadsheet. Yet to be a successful artist in today’s world, you need to be a smart business person as well. It is important for working artists to have some degree of business knowledge in order to thrive in today’s art market. If this sounds daunting, just remember that art and business do not have to be like oil and water. When it comes to marketing and promoting your artwork, you have the advantage of using your imagination to conjure up innovative methods for selling your artwork. These days artists have the advantage of pursuing both traditional and modern ways of marketing their artwork. Thanks to the Internet, it’s easier than ever for artists to share their work with a wide audience all over the world. Artists no longer have to wait for their “big break”, because they can create a buzz themselves. The Internet allows artists to take their careers into their own hands in a way that was never before possible. How can artists use the Internet to market and promote their artwork? A few examples of Internet marketing include: having your own website; writing your own blog; posting on related blogs; participating in social networking sites such as Twitter, Facebook; joining online art galleries and artist forms that are devoted specifically to the needs of artists… and the list goes on. In future articles we will discuss various aspects of art marketing in greater detail. In the meantime, feel free to post any questions or ideas that you may have on the topic of marketing art, whether traditional (off-line) or contemporary (online). This entry was posted in Art, Art Blog, artwork, Marketing Art in the Digital World, Segmation, selling art and tagged Art, artists, artwork, ature, business knowledge, Color by Number, creative people, digital art, Digital Photography, easel, games, masterpiece, nature, Paint, patterns, Segmation, SegPlay Mobile, SegPlay PC, sell artwork, selling artwork, successful artist on June 3, 2012 by segmation. This entry was posted in Art, Digital Art, Edo, Japan, Japanese Art, Japanese Artist, Katsushika Hokusai, Segmation, Ukiyo-e, Uncategorized, wood block print and tagged Art, block art, digital, digital art, games, iPad, iPhone, Japan, Japanese artist, Katsushika Hokusai, masterpiece, Paint by Number, realistic, Segmation, SegPlay Mobile, SegPlay PC, Ukiyo-e on May 16, 2012 by segmation.